It's already August and the dog days of summer are almost over. However, if you're anything like me you've kept a running list of the places you've wanted to see and the things you've wanted to do with your kids before the days get too short and that sweet summer sun melts into pumpkin-spiced beverages and cool, crisp air. With a little more than four weeks left until it's Back to School there's still plenty of time to sneak a few last minute activities in! 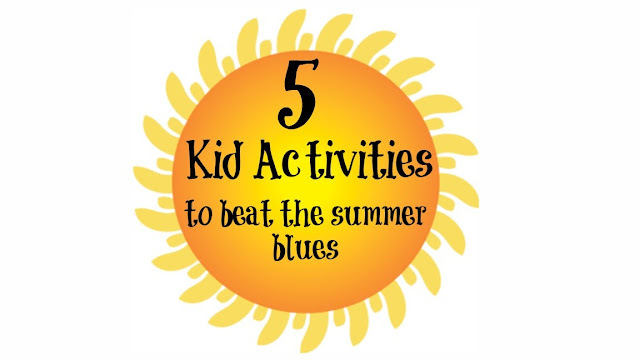 In no particular order, here are five kid activities to beat the summer blues! This doesn't have to be a great elaborate garden. A small pot full of herbs on the porch will do just fine. 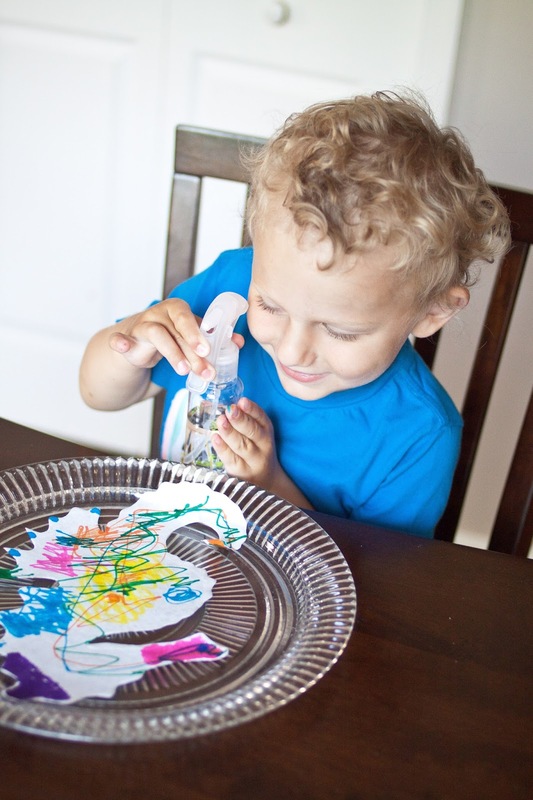 Not only is this a fun activity but it can also be used to teach young kids responsibility. One of my 3 year old's favorite activities each evening is walking out to our 8'x4' garden, watering it and peeking through the tall plants and large leaves for tomatoes, squash and peppers. 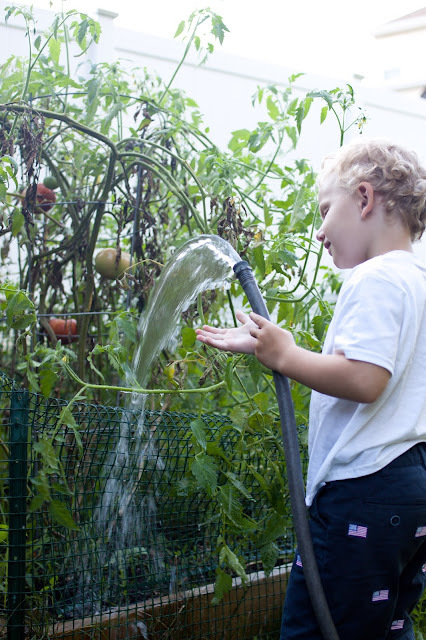 He loves watering the garden so much that we even added it to his daily "chore" chart and reward him with stickers each time he does it! A win-win! Kiwi Crate is a monthly subscription service, targeted at kids ages 3-7. Each box contains 2-3 carefully designed and kid-tested projects, which cover a range of developmental areas and subjects, including art, science, and imaginative play. 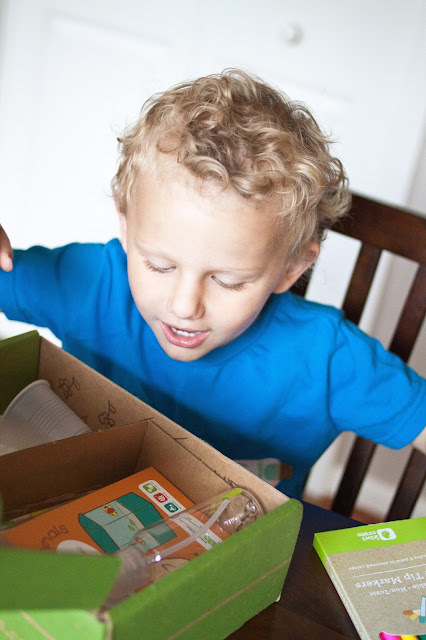 Of all the monthly subscription boxes out there that are designed for children, this one is by far my favorite. 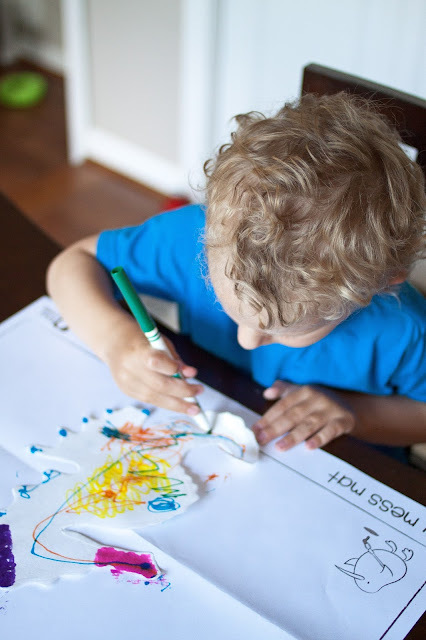 I love discovering a great mom or baby product or new educational toy but nothing beats spending quality time with my boys and watching their tiny little minds whir and buzz with the spirit of creativity and imagination. 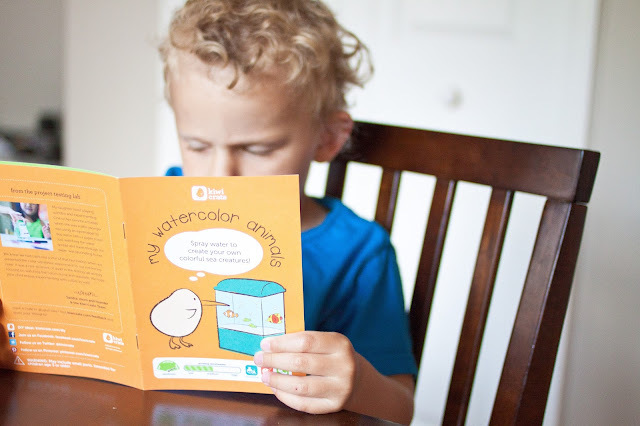 Carter and I recently had the chance to review the Water Wonders crate, part of the Summer Discovery Series which was designed to get you and your kids outdoors to explore the world around them. We had so much fun working through our August crate and our Make Your Own Sail Boat has seen several baby pools, backyard puddles and even a bathtub or two! We're looking forward to many more months of fun ahead! 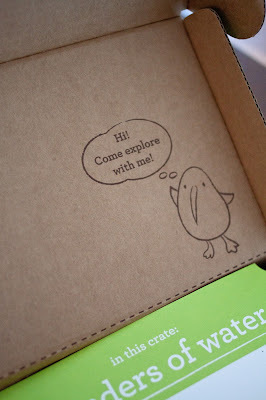 Here's what I love most about Kiwi Crate. 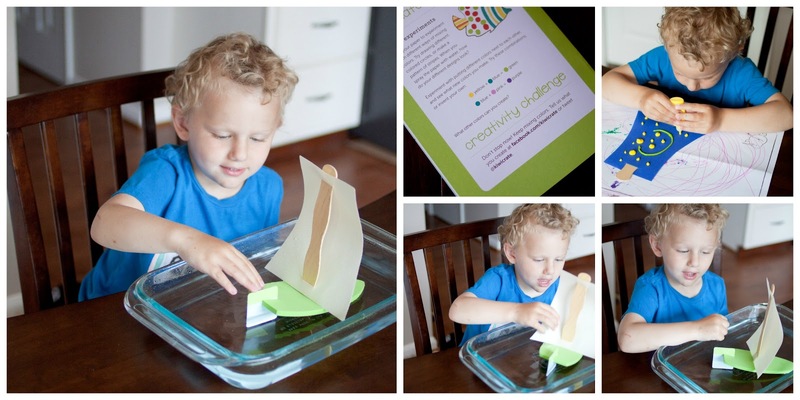 All of the materials and inspiration to encourage creativity and curiosity are included – you just supply the kid! I loved this crate and the time spent with Carter so much that I've already gone ahead and paid for our first 3-month subscription. Want to join and receive $10 off your first order? Follow this link to sign up! Too hot to move, let alone blow up that baby pool? Turn on the hose, fill up a small bucket with soap suds and let your little one go to town on your car! I can't tell you how many times we've done this and it's been a raging hit every time. Although I will say, it quickly turns into a game of Drench Mom With the Hose. Too rainy to play outside? Bring the car wash inside with a small tupperware bin and a host of Hot Wheels or Matchbox cars. This is one of those activities I love having tucked up my sleeve especially when there's laundry to fold and put away. This is one summer activity that we have yet to do and every week I swear I'm going to pack our picnic basket and head on out to the nearest picnic bench! No picnic bench nearby? Pack your blanket and take your picnic to the backyard. There's just something about that quintessential summer picnic. From elbows sticky and drippy with watermelon juice to squished peanut butter and jelly sandwiches cut into quarters, dining al fresco is the perfect way to end those lazy summer days. Play tourist in your own city and take your kids to the nearest zoo, aquarium or museum. Ride the train, meet some new friends and maybe even pack that picnic lunch we talked about earlier! You could even turn your adventure into a scavenger hunt by creating a quick list beforehand of animals you would expect to see while you're there! Here are a few pictures from our zoo and aquarium adventures this summer! Tell me, what are some of your favorite activities to take part in with your kids during the summer months? Disclaimer: I received the Water Wonders Kiwi Crate free of charge in exchange for my honest thoughts and opinions as expressed above. I received no other financial compensation my thoughts. 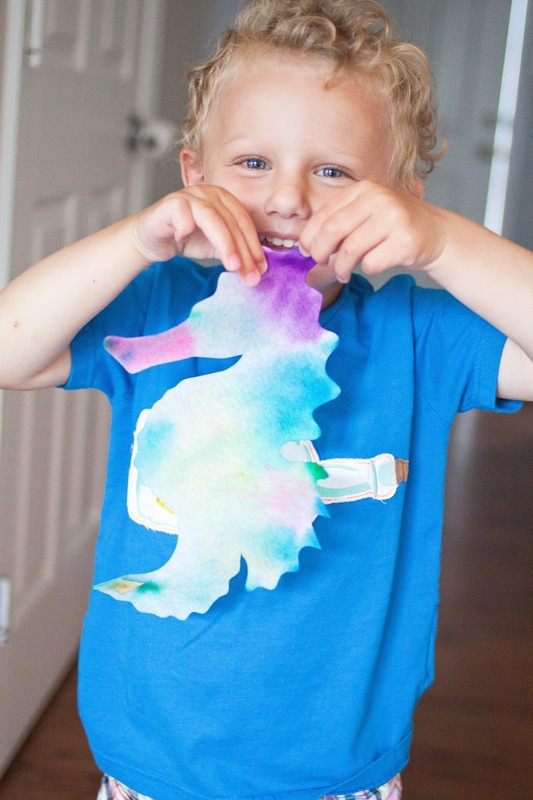 Thank you so much, Kiwi Crate, for such a wonderful and creative outlet for kids and their parents! i cant wait to get kiwi crate! isaiah always brings it up and forgets we have to wait until crue is older! i might have to try stork stack in the mean time :) xxo!